Mindful Music classes have been designed with input from experts and experienced practitioners in education, musicianship, music therapy, mindfulness and general wellbeing. Expect small class sizes, professional tutors who are experts in their fields and in catering for early years, and a child-centred approach focused on developing skills and, most importantly, a lot of fun! 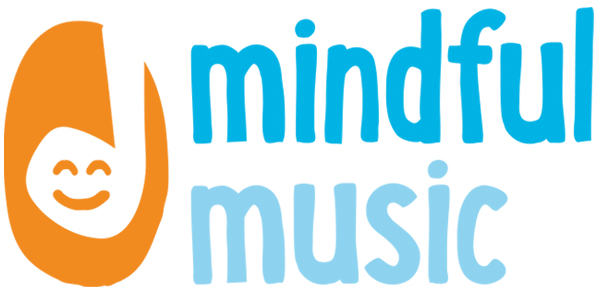 Mindful Music is an award-winning charity established to support children in their emotional development, using music and mindfulness. Martha is a clarinettist and experienced primary school teacher turned community artist. She established Mindful Music to better support children in their development of emotional wellbeing. 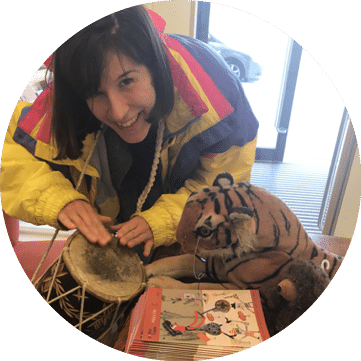 Martha has a masters in Education Leadership – she has been exploring mindfulness and music since she was a child, and in the last three years she has taken inspiration from mindful practices and teachings connected to Plum Village and Thich Nhat Hanh. Charlie has been involved in music since a young age. His professional career has been both as a performer, largely on trumpet, and as educator and community music facilitator. Charlie is particularly inspired by Thich Nhat Hanh and Plum Village. He also studied ethnomusicology at SOAS and is a passion for global music. What lights Charlie up is seeing what happens when humans connect to themselves, each other, music … and everything! – These sessions are for parents and carers to attend with their little ones. Expect sound and sensory play, singing and games. 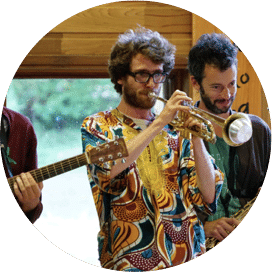 – These sessions will explore musicality and teamwork using songwriting, composition techniques, drumming, singing and games. Parents/careers do not need to participate but are welcome to stay and watch. Take advantage of our bundle offer! Book 4 sessions for just £16! Add 4 dates of Music Club to your basket and the discount will be added at checkout, click here to book.